Magen David Adom Director sends letter to Netanyahu warning services in Judea and Samaria will cease over failure to transfer agreed budget. 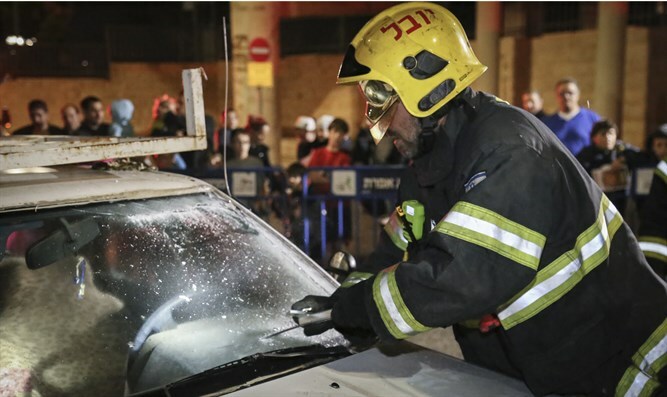 Magen David Adom (MDA) Director-General Eli Bin informed Prime Minister Binyamin Netanyahu that MDA would have to stop life-saving services in Judea and Samaria in light of the failure to transfer the budget decided upon by the government. In December 2016, the government decided to regulate MDAs operational budget for MDA services in Judea and Samaria funded by the Health Ministry. Recently, in light of the failure to transfer the necessary budgets, MDA decided to reduce activity in Judea and Samaria, but the reduction was not implemented in practice due to the request of former Health Minister Yaakov Litzman to delay the reduction in light of the security situation. In a letter sent by MDAs Director to Prime Minister Netanyahu about a week-and-a-half ago, Bin warned that "the fiscal year is ending and this absurd situation of uncertainty creates an arrears of close to 13 million shekels in MDA's purse, of which 5.5 million shekels is for the year 2016." Bin noted in his letter that "although this is a small sum compared to amounts approved by the government and with which it is accustomed to deal, to an organization such as Magen David Adom it represents a severe blow that causes the year to end with a deficit that will affect all services to the residents of the State of Israel." The MDA Director explained that he will have no choice but to stop MDA services in Judea and Samaria. "As noted, so far, we have refrained from harming vital services. But in order to minimize worsening of budget deficit, I see no other choice but to stop MDA services in the Judea and Samaria area until the issue is settled." "I request from your honor in every possible way to impose on any relevant authority the handling of the matter without delay," wrote Bin to Netanyahu, who currently serves as Health Minister. Shomron Regional Council head Yossi Dagan told Arutz Sheva that "the residents of Judea and Samaria are citizens of the State of Israel, like any other citizen. I call upon the Prime Minister to place the MDA budget for Judea and Samaria at the center of the budget, as happens for the Gaza region. There is no difference between one frontier region and another." Dagan said that "every year, the same saga takes place. To my delight, every year MK Yaakov Litzman as well as Welfare Minister Haim Katz and MDA Director General Eli Bin assist us on this issue. 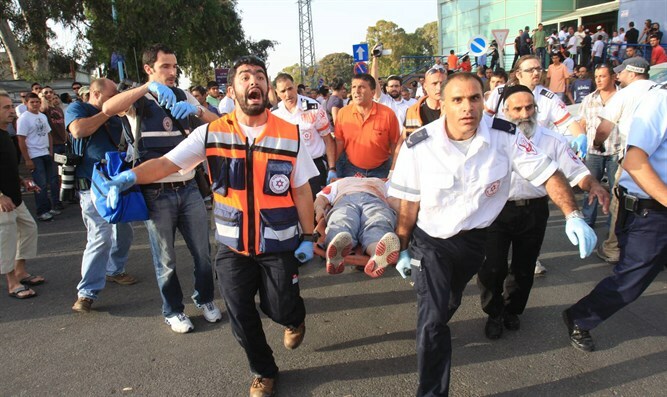 Nevertheless, it cannot be that citizens of the State of Israel who live in Judea and Samaria have to raise funds for emergency medical services like beggars. I call on the Prime Minister to convene a discussion on the matter this week with all relevant parties."